Tax practitioners want to avoid the attention of the IRS's Office of Professional Responsibility (OPR) at all costs; sometimes, however, OPR turns up uninvited. A basic understanding of OPR's processes and procedures can help in preventing a bad situation from becoming worse. 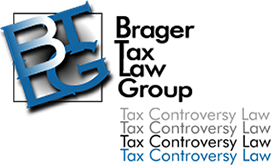 OPR administers and enforces the regulations governing practice before the IRS. The regulations governing practice are set out in Title 31, Code of Federal Regulations, Part 10, and are published in pamphlet form as Treasury Department Circular No. 230. The current Director of OPR is Karen Hawkins, who previously was a partner at the tax controversy firm of Taggart and Hawkins in Oakland, California. Accept assistance from another person (or request assistance) or assist another person (or offer assistance) if the assistance relates to a matter constituting practice before the IRS, or enlist another person for the purpose of aiding and abetting practice before the IRS. This last provision is particularly problematic because it means that a suspended practitioner will be very limited in the functions he can perform for his employer, and may well be asked to leave his firm. The way that the majority of practitioners got in trouble with OPR in the past was by failing to take care of their own tax obligations. Practitioners are often shocked to discover that extended late filing, sometimes coupled with non payment, can result in suspension or even disbarment from practice before the IRS. Hawkins has publicly pledged to move beyond simply going after delinquent practitioners, and intends to crack down on practitioners who ignore their duty of due diligence in preparing client returns. She pointed out that "[p]ractitioners may not ignore the implications of information already known, and must make reasonable inquiries if the information furnished by a client appears to be incorrect, inconsistent, or incomplete." a tax return, the examining agent is required to refer the case to OPR for further investigation. For that reason, it is critical that the imposition of the IRC §6694(b) be fought tooth and nail. An attorney within OPR reviews allegations set forth in any referral to OPR. OPR's first contact with a practitioner is a "pre-allegation notice letter," which notifies the practitioner of the investigation and invites the practitioner to submit any relevant information. If the practitioner's information does not resolve the matter, OPR sends an allegation letter specifying suspected violations of Circular 230. The practitioner may submit an additional response and may request a conference to be conducted in OPR's Washington, D.C., office or by telephone. If the practitioner's response does not fully resolve the issue, the practitioner's case file is presented to a panel of OPR attorneys for review and discussion, and to propose a disciplinary sanction.